AppStudio for ArcGIS lets you turn maps into beautiful, consumer-friendly mobile apps that run on all devices. One of the highlights of the November update to ArcGIS Online is the release of AppStudio for ArcGIS, a groundbreaking tool that lets you build one app and deploy it across multiple form factors and platforms—Mac, iOS, Android, Windows, and Linux—and publish them to all app stores. Now that AppStudio for ArcGIS is no longer in beta, it is included with ArcGIS Online subscriptions. AppStudio for ArcGIS Basic lets users turn maps into beautiful, consumer-friendly mobile apps that run on all devices—no developer skills required. Upgrading to AppStudio for ArcGIS Standard provides additional benefits: the ability to distribute apps within the enterprise and extend apps built using AppStudio’s configurable templates; it also allows developers to create custom apps. For more information on AppStudio, visit esri.com/appstudio. Other apps that come with an ArcGIS Online subscription have new capabilities. ArcGIS Online has a full suite of configurable apps that do most of the work for you once you have created a web map. The ArcGIS Online help topic “Choose a configurable app” will help you identify your purpose and intended audience so you can choose the most suitable configurable app from the many that are available. Web AppBuilder for ArcGIS has four new widgets: a Batch Attribute editor to simultaneously edit multiple attributes, a Reviewer Dashboard widget to display data quality result statistics as infographic pie and bar charts to summarize data quality issues identified in the GIS data, a Feature Report widget to collect and manage data quality feedback from users, and an Image Measurement widget to perform measurements on image services with mensuration capability. Other enhancements include support for six new URL parameters; automatic saving of app state; and more print, search, editing, and attribute-related improvements. 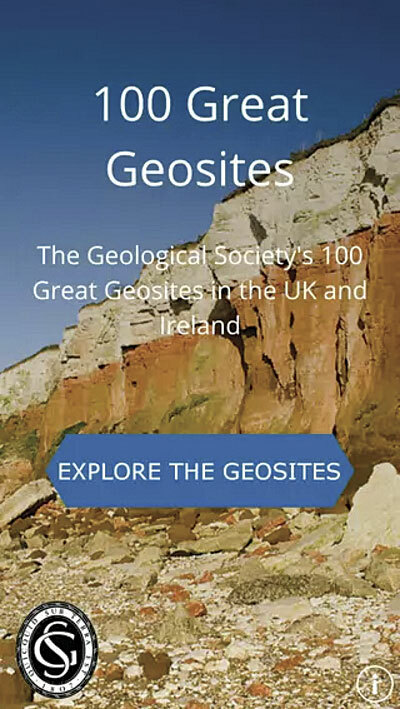 The UK Geological Society's 100 Great Geosites app is available as a web, iOS, and Android app. 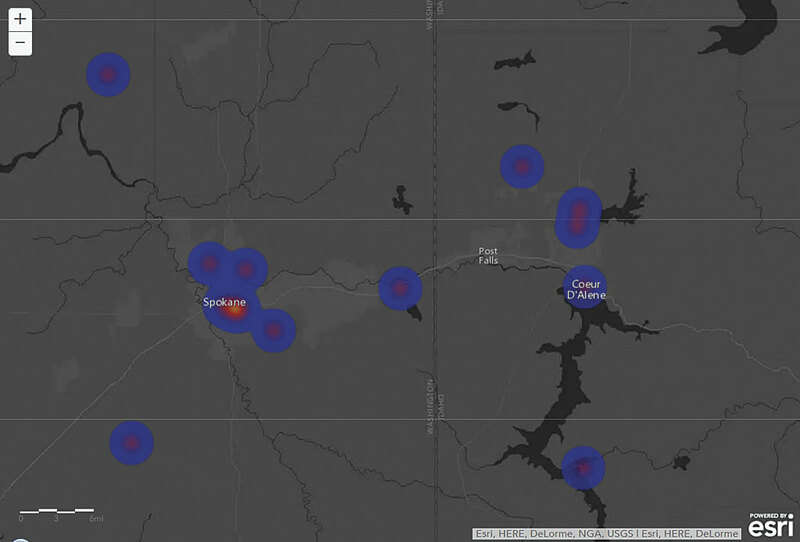 The immensely popular Collector for ArcGIS app has a new set of data collection templates for creating hosted feature layers. 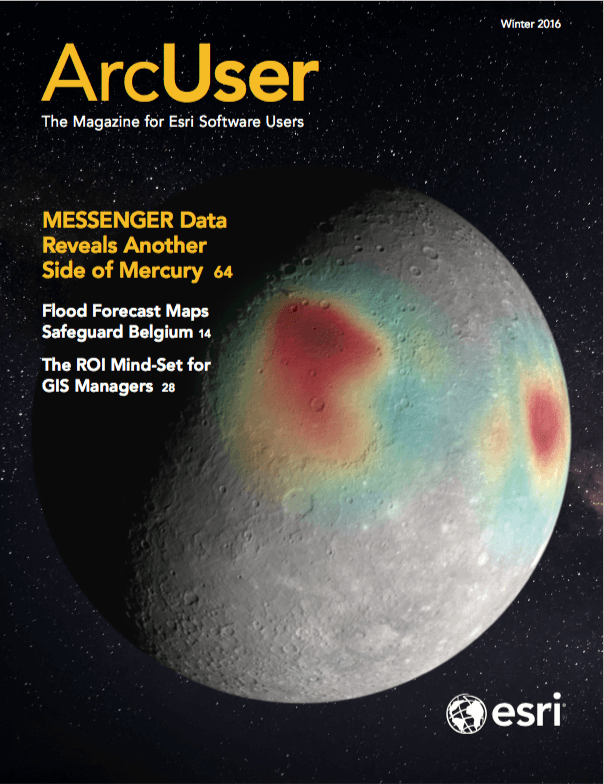 Two new apps, Survey123 for ArcGIS and Workforce for ArcGIS, complement Collector for ArcGIS. Survey123 for ArcGIS is available in beta. This app allows users to incorporate smart forms into field data collection efforts. Available in the Apple, Google Play, and Windows app stores, this easy-to-use mobile application lets fieldworkers capture data while connected or disconnected. Survey123 for ArcGIS provides a solution for form-centric data collection workflows in ArcGIS. 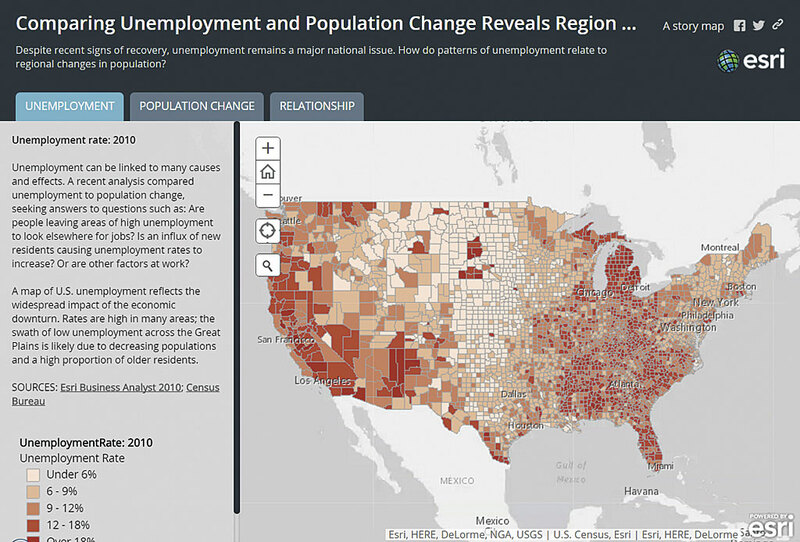 To learn more and get the app, visit survey123.esri.com. Navigator for ArcGIS improves field workforce reliability by letting them find sites no matter where they are located using voice-guided directions and automatic route recalculation for one or more stops. Workers can access downloadable maps for offline navigation. It supports multiple travel modes and integrates with other ArcGIS apps such as Collector for ArcGIS and apps you develop. Use the builder mode in Story Map Journal and Story Map Series maps to identify and troubleshoot issues. The Workforce for ArcGIS app, soon to be available in beta, helps field crews work like a team. With Workforce for ArcGIS, users in the field can easily get work assignments and communicate the status of work back to the office, all from one device. The Workforce for ArcGIS mobile app, supported on the iOS platform, seamlessly integrates with all the mobile ArcGIS apps including Navigator for ArcGIS, Collector for ArcGIS, and Survey123 for ArcGIS. Combined with Operations Dashboard for ArcGIS, the suite of apps provides a robust solution for optimizing fieldwork. Building and updating story maps has also gotten easier. Create and modify maps as well as identify and troubleshoot issues, in the builder mode in Story Map Journal and Story Map Series. Story Map Basic has been updated and now supports search, sharing subscriber content publicly, adding a logo in the header, and configuring color themes. (This update doesn’t apply to existing Story Map Basic apps. To take advantage of the new features, users must share their maps again using the updated app). For ArcGIS Online administrators, the Maps and Apps Gallery app makes it easier for your organization’s users to find the configurable apps they want using filter and search capabilities. The new Minimalist viewer app has a simple user interface—just a map with a scale bar and zoom slider—but it can be configured to show a content panel that presents a legend, map details, or pop-up info. The default version of the new Minimalist viewer app has a simple user interface—just a map with a scale bar and zoom slider. Access to and use of the Basic Viewer app by individuals with disabilities has been improved as part of an ongoing goal by Esri to design and implement accessible GIS products and technologies that align with the objectives of Section 508 of the Rehabilitation Act of 1973, a US federal law. GeoForm, a template that allows users to edit feature data in a form, is no longer part of the Early Adopter Template group and is now fully supported and available in the Esri-featured configurable apps gallery. Crowdsource Reporter has been responsively designed for use in browsers on smartphones, tablets, and desktops. The Crowdsource Polling app is now available in the Esri Featured Apps section of the gallery. A new version of the Elevation Profile app now supports toggling layers, a basemap gallery, sharing to social media, feature search, custom URL parameters, and options for customizing the color scheme. Several apps have been retired. Instead of using the Legend app, use the Simple Viewer. Use the Public Information app in place of the Twitter app. This release of ArcGIS Online also includes improvements for administering and managing ArcGIS Online; enhanced security, new visualization capabilities; and updates to World Imagery, World Street Map, and World Topographic Map services. 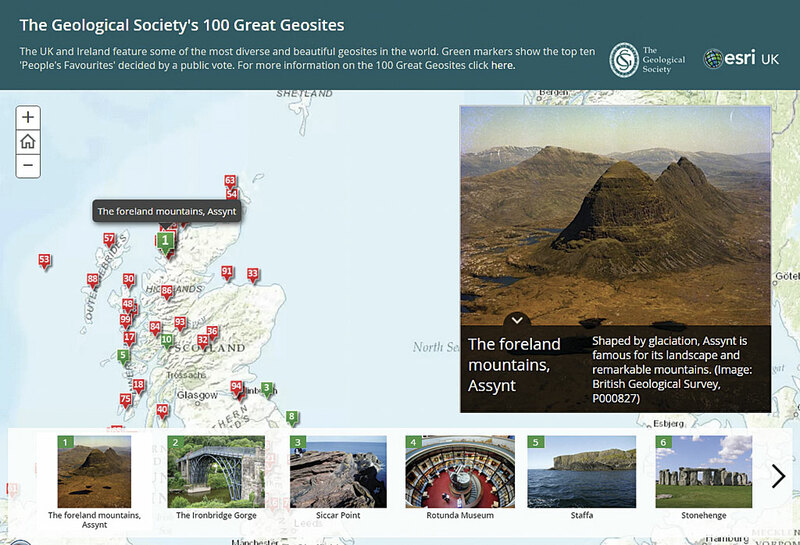 For more details and links to helpful resources go to the ArcGIS Online What’s New page.